One doesn’t have to be an anti-intellectual nay-sayer to wonder if critical theory is not paradoxically at its pretentious worst when addressing issues of immediate political consequence. Theory can frequently be distant from its adopted concerns: too often theorists respond to the injustices of the world by treating actual political complexity with equally complex but abstracted jargonised contemplation. That distantness, especially when exacerbated by exclusive language, seems bizarre if not intolerable when the jargoniser is himself distant not only from the social realities of the subjects objectified by his theorising, but also from those men of action who might seek to redress inequalities at point of need. One could equally maintain, however, that there is good reason to preserve distance between theorist and both the needy and the activist. The ‘macro’ might necessarily be the domain of the removed political planner without whose direction nobly intended action would remain disorganised and ineffective. Then again, by way of contrast to the above dichotomy, a closer constructivist relationship between critical social theory and critical social practice might see a genuine mutuality emerge which stops short of macho you-have-to-be-there activism and macho my-abstraction-bears-best-witness theorism. 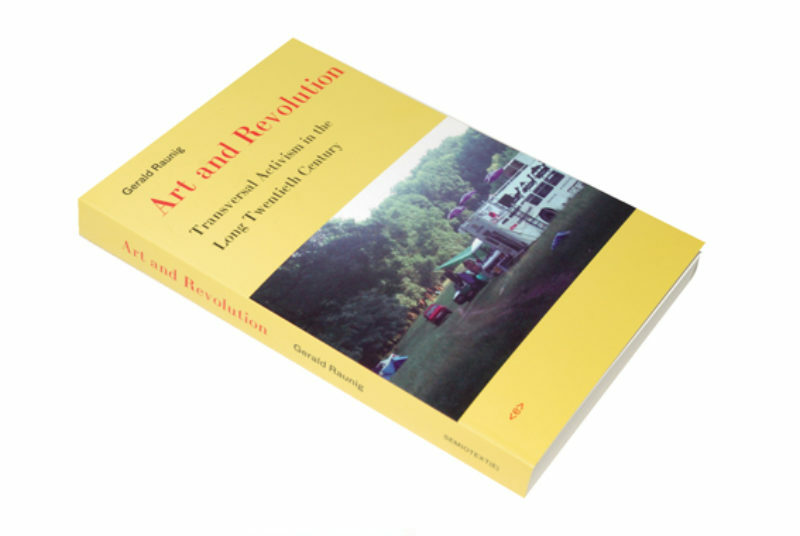 Gerald Raunig is to be found on this ‘third’ ground, and his newest publication presents 20th and 21st century highlights of art as/and activism seen from the vantage point of what might be called, borrowing from war zone journalism, the embedded theorist. Raunig’s central point from the perspective of a philosopher who works behind enemy lines is that art making and political activism can be seen more productively as a series of linked practices, and as such, usefully, the classic dualism of art as too aesthetically preoccupied to effect political change, or ‘art’ as too politically concerned to really approximate art, can be circumvented. 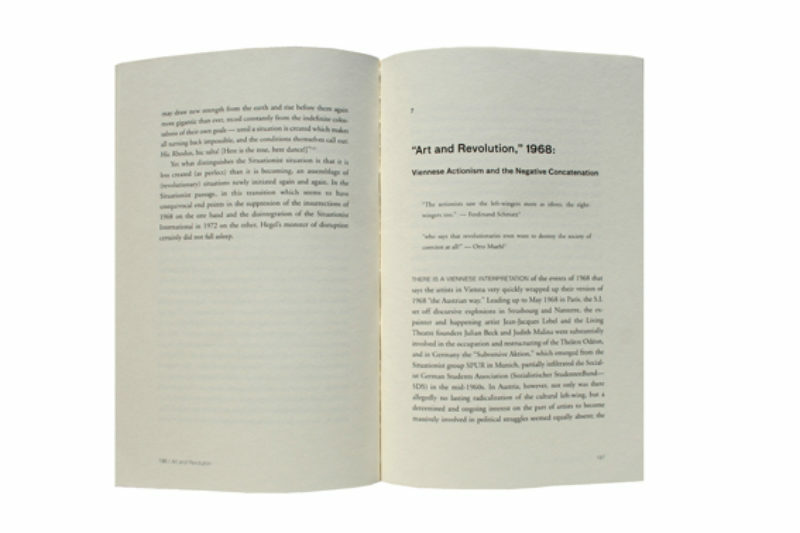 By way of translator Aileen Derieg, he describes this linking as the ‘transversal concatenation of art and revolution’ – an interconnectedness which sees ‘neighbouring zones of art and revolution open up from both sides’. Raunig builds a case for this reading of concatenation by consistently connecting theoreticised politics (with reference to ideas in the work of Deleuze, Foucault, Hardt and Negri amongst others) to actual episodes of intervention posited as critical artistry. After all, states Raunig, ‘it is not only activist art that docks into a political movement, but political activism also increasingly makes use of specific methods skills and techniques that have been conceived and tested in art production’. So, broad sweeps of to-be-expected anti-capitalist theorism are cleverly balanced in the book with timely micro-detail about the creative practices of protestors as witnessed by Raunig in situ. For example, the author recounts the activity of members of a 2002 protest camp set up on the French-German border to lay critical siege to the Schengen Information System in Strasbourg. The SIS is in effect a filing cabinet of data on individuals seeking visas and asylum, and thus functions as a policing mechanism of all border movements. The critical social action of the camp was steered fittingly by the noborder network and was designed to operate counter to the agendas of the SIS at the real/physical and virtual level. Eschewing conventional violent demonstration, four ‘experts’ from ‘Noborder Silicon Valley’ wrong-footed authorities by enacting a pantomime hack of the back-up servers for the SIS in some suburb in Strasbourg. With requisite props of fluorescent vests, laptops, cables and gadgetry, the event was as much a symbolic tableau as an instance of direct disruptive action; the reality of the data ‘theft’ was perhaps immaterial when set next to the political debate released by the ‘play’. The artists-activists took pains to brief media at all stages, reinforcing the bonds between art, politics and intrasocial digital networks. Raunig’s review of concatenation is not really a rewrite of the art and activism of the long 20th century. It is more a demonstration of the blending of often untouchable critical theory with the pragmatics and the imaginary of creative political intervention. Now, either his story is unwitting advocacy of pleasant protest too creatively self-conscious to have impact, or it is a demonstration that when praxis actually exists as theory worked through creative action, compelling and affective critique of social injustice might emerge beyond clichés of violent dissent. I suggest, at risk of establishing yet another dichotomy, that Raunig persuasively presents the latter.